Are you considering a Jewish Wedding in Hertfordshire? You are not alone. Hertfordshire has a thriving Jewish Community and there are many options for your Jewish Wedding in Hertfordshire. Hertfordshire provides a real variety of great venues for a Jewish Wedding and because of its location there are many suppliers based in and around London that will be available in the Hertfordshire area. The main attraction of Hertfordshire is beautiful country venues on the doorstep of a large Jewish community. Did you know that the Jewish population of Hertfordshire has increased by 26%, from 16,885 in 2001 to 21,345 in 2011, confirming its status as a major centre of Jewish life in the UK. This is based on results from the latest census in 2011. There are multiple synagogues in the Hertfordshire area to choose from to have a Chuppah including United, Reform, Masorti and Liberal. This includes Shenley, Watford, Borehamwood, Elstree, Radlett, and St.Albans. There are also many Synagogues in North West London just a short drive away. Hertfordshire offers a diverse range of outstanding venues – including five star hotels as well as stunning character country venues. 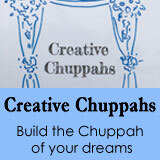 A number of venues will provide for kosher caterers and some have preferred kosher caterers. 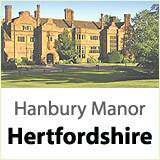 For a Jewish Wedding venue in an incredible setting, look at Hanbury Manor Marriott Hotel & Country Club. Situated on 200 picturesque acres in Hertfordshire, this spectacular hotel features lovely garden outdoor spaces and elegant indoor event venues. Another great venue is Shendish Manor is a fantastic venue for your Jewish Wedding, set in 160 acres of parkland and formal gardens. Providing the perfect setting for your Jewish wedding, the exquisite grounds and breath-taking architecture inspire romance and anticipation of what’s to come…. For more Jewish Wedding venues in Hertfordshire, click here.